Over the past week there has been somewhat of a frenzy in the Linux blogosphere. I wrote an article highlighting the many articles that appeared due to the release of Ubuntu 13.10. In that article I mentioned that I would be looking at Lubuntu 13.10 as it is a distribution that I haven’t yet reviewed. Lubuntu is supposed to be a lightweight Linux distribution and therefore it should be more than suitable for my Acer Aspire One D255 Netbook boasting an Intel Atom Processor (1.66 ghz) and 1 GB memory. So how did it fare? read on to find out. You can download Lubuntu 13.10 from http://lubuntu.net/blog/lubuntu-1310-saucy-salamander-released. By clicking the above link you can also read about the purpose of Lubuntu, the features of Lubuntu and changes that have been made specifically for Lubuntu 13.10. Lubuntu is available as a 32-bit download or a 64-bit download. If you have a poor internet connection or a download limit then you may wish to buy a copy of Lubuntu 13.10 on DVD or a USB drive. To run Lubuntu 13.10 you will need an Intel Pentium Pro or above. Basically your computer needs to have a CPU with Physical Address Extensions (PAE). If you are running a computer without PAE incorporated then it is still possible to run Lubuntu but you need to install version 12.04. In the comments below I have been informed that you can use Lubuntu 13.10 with or without PAE but it has to be the 32-bit version. 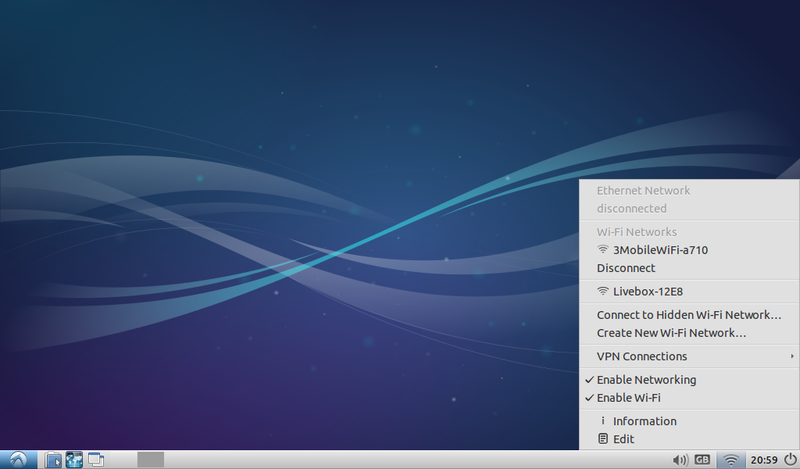 The information I have given in my review comes from http://www.lubuntu.net/. I guess the best advice is therefore to give Lubuntu 13.10 a go and if it works then great but if not falling back to a previous version should work. The minimum requirements state that you need just 128 mb of RAM. To be honest you need more than this. The Lubuntu website is a bit vague in regards to the recommended requirements. I would suggest 1gb of RAM nowadays is a minimum. If you are downloading Lubuntu then the first thing you need to do is either burn Lubuntu to a DVD or write it to a USB drive. If you are using Windows go to http://unetbootin.sourceforge.net/ and download the Windows version of Unetbootin. 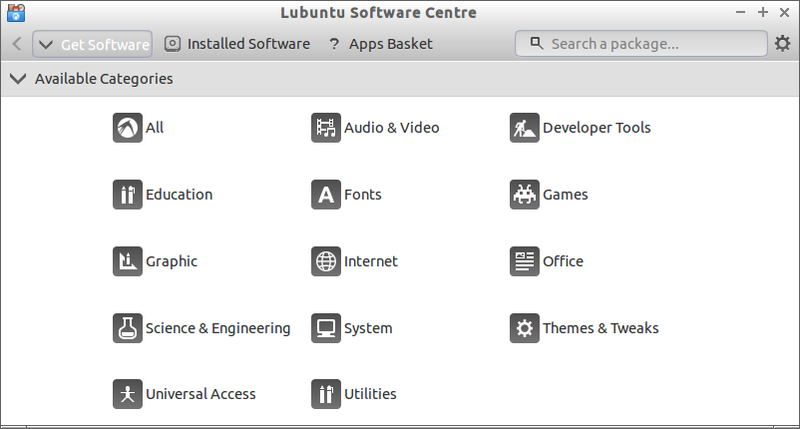 If you are using Ubuntu then you can download Unetbootin from the software centre. For all other versions of Linux check the repositories using the appropriate package manager to see if Unetbootin is available. Insert a blank USB drive and run Unetbootin. Select the Lubuntu 13.10 that you downloaded and then the drive that depicts your USB device. When Unetbootin has finished writing Lubuntu to the USB drive remove the drive and insert it into the computer that you wish to install Lubuntu on and boot it up. From the menu select default and this will load up a live version of Lubuntu. Click the install icon on the desktop. Installing Lubuntu is fairly easy and if you have ever installed any other version of Ubuntu then it should be straight forward. Now the partitioning is the bit that most people find the trickiest especially if you are installing side by side. There are options for replacing the current operating system, installing side by side or something else. On a netbook I think it is fine to use either replace (if you don’t need what is there already) or side by side. There is no need to get too technical with the partitioning on what is usually a fairly small hard drive. For a full Lubuntu 13.10 install guide click here. Lubuntu 13.10 will look and feel quite familiar for those of you who have used any version of Windows in the past 20 years (Windows 8 excluded). There is a taskbar at the bottom which consists of a menu, quick launch icons and a system tray. 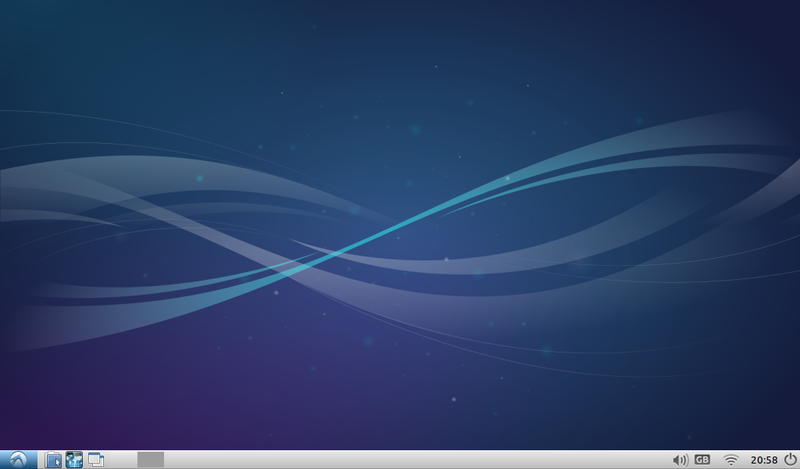 Lubuntu uses the LXDE desktop environment. The components of LXDE include lightweight panels, menus, the Openbox window manager, file managers, text editors and terminal emulators. The menu is a throwback to the Windows XP classic menu. The system tray contains icons for audio settings, language settings, network settings, a clock and an icon for logging off. 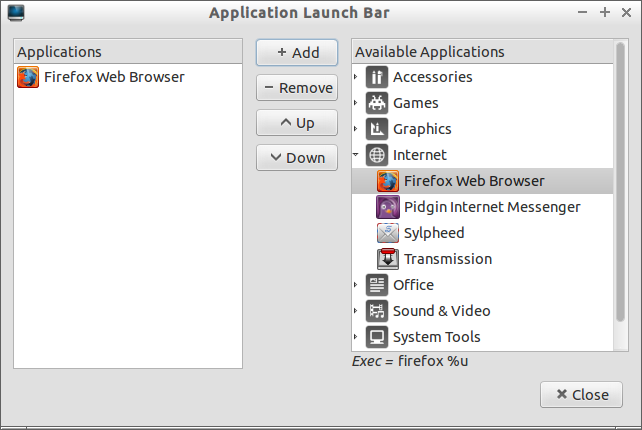 The browser included with Lubuntu is Firefox (version 24). Lubuntu doesn’t come with a lot of applications but for a netbook there is more than enough to get you started and certainly enough for browsing the web and staying connected. Archive Manager, Disk Management Utility, File Manager (PCManFM), Calculator, Image Viewer (GPicView), Text Editor (Leafpad), Terminal. Penguin Canfield, Freecell, Golf, Mastermind, Merlin, Minesweeper, Pegged, Solitaire, Spider, Taipei, Thornq. Document Viewer, mtPaint Graphic Editor, Simple Scan. Audio (Audacious), Media Player (MPlayer), Webcam (GUVCView), Disc Burning (XFBurn). Lubuntu Software Centre, Package Manager (GDebi, Synaptic), Startup disk creator. There are various ways to install applications using Lubuntu. I would imagine the intended preferred method would be the Lubuntu Software Centre. You can find the software you are looking for using the software centre by clicking on the various categories to browse, or by searching using the search box in the top right corner. I had an issue on the netbook whilst using the search function and I traced it to this bug report (https://bugs.launchpad.net/lubuntu-software-center/+bug/1043595). The search function starts searching after just 300 milliseconds of typing. So if you haven’t finished typing your search term in that time then you have to wait for the search to complete before you can enter the rest of the search term. 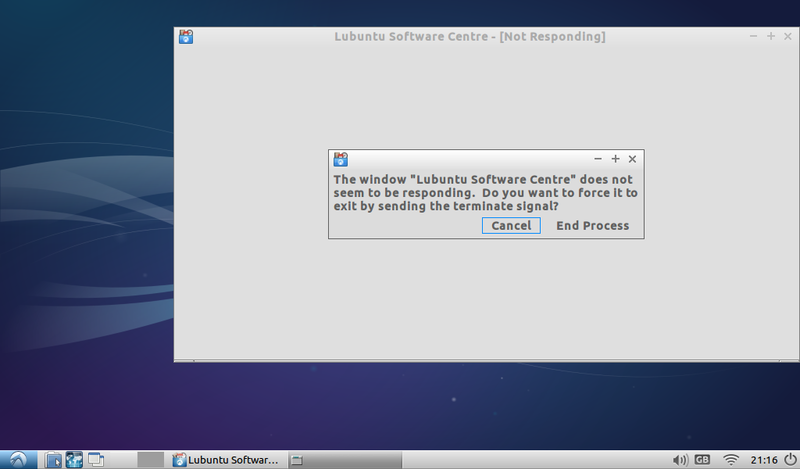 On top of this I regularly received the following error message when using the Lubuntu Software Centre. The first few times I thought the software centre had stopped responding but by clicking wait eventually it came back with some results. This isn’t ideal. However all is not lost because Synaptic is installed and I think this is a better tool for installing software anyway. Simply type a keyword or the name of an application into the search box and a list of relevant programs will appear. To install the applications, mark them for installation and when you have chosen all the items you need press the apply button to install them. You will need to use the program installer if you harbour any hopes of watching Flash videos, playing Flash games or listening to your music collection (assuming your music is in MP3 format). To be able to play Flash or to listen to MP3s you will need to install the Lubuntu-restricted-extras package. Either load Synaptic and search for Lubuntu-restricted-extras or open a terminal and use “Apt”. To use “Apt” first of all run “sudo apt-get update” and then run “sudo apt-get install lubuntu-restricted-extras”. As you can see by installing the restricted extras package I was then able to see Jack Wilshere’s brilliant goal from last weekend. 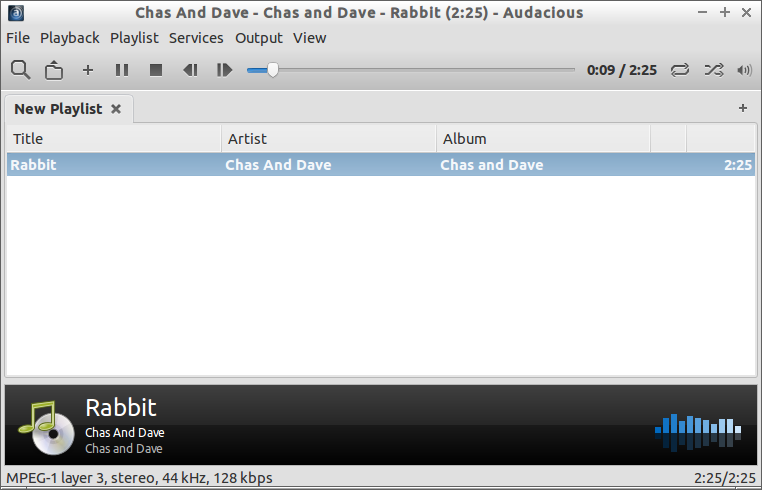 I was also able to listen to Chas and Dave in MP3 format. Everybody now… “I don’t care, I don’t care, I don’t care if he comes round ‘ere, I got my beer in the sideboard here, let mother sort it out if he comes round ‘ere”. Lubuntu uses the LXDE desktop. I found that the default layout looked very uninspiring with just a panel at the bottom and a blue desktop. LXDE like Xfce is highly customisable and it takes the minimal of effort to turn it into something like this. I am not going to go heavily into how you customise the LXDE desktop in this article. (I will save that for a later one). Changing the background is simple a case of right clicking on the desktop and choosing “desktop preferences”. 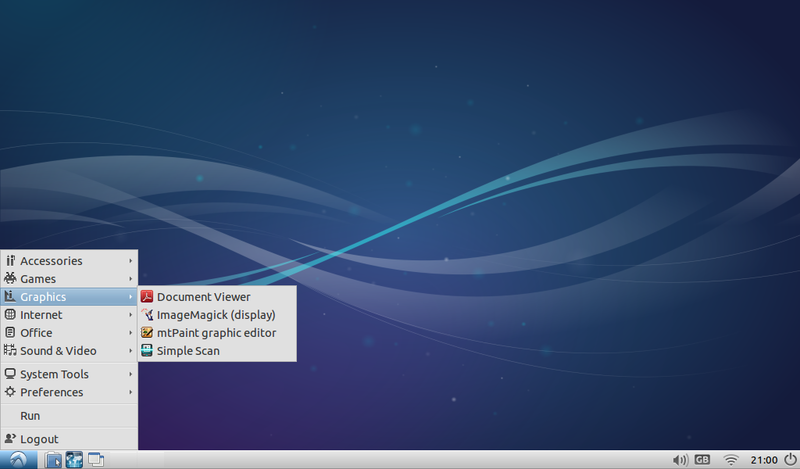 There are a number of decent images included by default with Lubuntu including the one shown above. You can of course download your own images from the internet and use them instead. It is possible to create multiple panels and you can place them on all 4 sides of the screen. Panels can be used in the traditional sense with the menu, launch icons and system tray or you can add an application launcher and add icons for all your favourite applications (similar to the bottom panel in the desktop image above). As well as the standard Lubuntu desktop there are a few other options including Lubuntu Netbook, Lubuntu Games and Openbox. The above desktop shows the netbook option. It looks like an afterthought as far as I am concerned and not really that appealing and that brings us onto the next section. Lubuntu 13.10 wasn’t completely free of issues I’m afraid to say. I have already mentioned the issue with the Lubuntu Software Centre but I have also had a couple of crashes when booting up as shown below. Other problems I found were to do with the other desktop options including games and openbox. Neither would load beyond a blank screen with a mouse cursor. Despite the problems that I have come across in Lubuntu 13.10 I would still highly recommend it for a netbook. The performance is brilliant (except for the software centre) and with the minimal effort it can look good and be functional. The software centre issue was a bit disappointing because Lubuntu is supposed to work on older machines and to have search ahead turned on seems counter productive. The choice of software is adequate because on a netbook you aren’t going to be doing a huge amount of work on it. I tend to use my netbook for getting online quickly and maybe playing the odd game or watching a video or two. Lubuntu is perfect for my needs. So Lubuntu or Xubuntu? Well that question will be answered in a forthcoming article. Have you tried Lubuntu 13.10? Did you encounter the same problems as I did? How did you find the experience? Let me know using the comments box below. While I do enjoy Lubuntu, and Ubuntu, I have to say that upon installing Lubuntu over Ubuntu 12.04.2 on my IBM Thinkpad (R52 model) it works faster than it has ever in my 6 years of using it. I use the Lubuntu netbook DE, and can finally do things without slow processing. I for one say Lubuntu is amazing, but never had I expected this laptop to run as well as it does now. I haven't used the 13.10 Lubuntu yet, but I assume it would be more or less the same. Lubuntu is definitely great on the Acer Aspire One that I am using. Yes I found a couple of quirks but nothing that really affects my user experience. 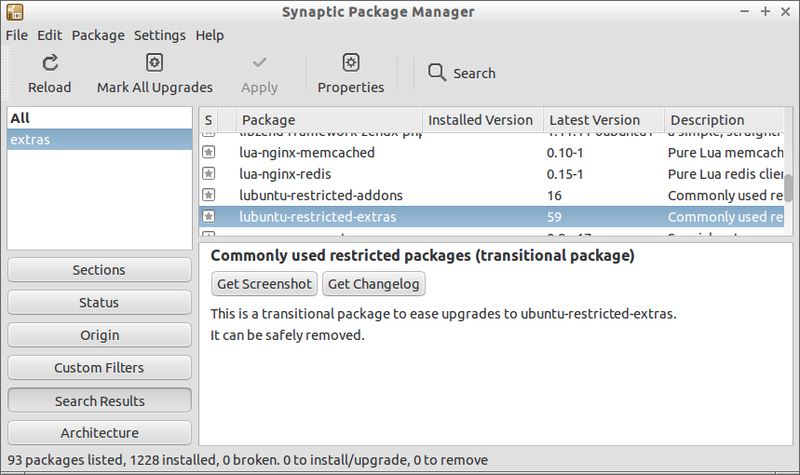 I tend to use Synaptic over the software centre (or more often than not apt-get). I've used it also on an Aspire One… but took it off and put Ubuntu back. It's true that the desktop is quick with Lububtu, but , of course, programs run the same under either desktop. Also, the ergonomics are all screwed up compared to Unity. Unity is a better notebook desktop from a usability perspective. It also bothers me that Ubuntu derivatives don't adhere to a more consistent ergonomic model. Window controls on the right or left, horizontal bars versus vertical docks, bars at top or bottom of the screen… it's all over the place. Yes, you can take the time to customize Lubuntu – and I did – but when you do that you find all the little quirks that don't quite work like they should. Do yo u know how to the use openbox and ajust the configuration file ? I am going to be spending more time on Lubuntu, LXDE and Openbox over the next few weeks in the same way i wrote a series of articles for Xubuntu last year. I haven't had the chance to use an LXDE based distro but it was on my list when I was moving away from Windows last year. I ended up settling on Xubuntu with XFCE, which I'm happy with; but, if something were to happen to XFCE I would probably move to Lubuntu. A note for you however, LXDE is soon to merge with Razor-QT and move entirely to QT as it use to be GTK based. This may or may not have an effect on performance and if it does, you'll have to choose something else for your Netbook. KDE is QT based and like Gnome, which is GTK based, isn't really suitable for older computers. There are lots of DE's to choose from, thankfully. Something Windows just doesn't offer with it's lock-ins, terrible code base which is always based on the previous OS (Like 5 NT OSes worth of garbage code piled on top), and forced upgrades. Take a look at LXLE (Lubuntu Extra Life Extension). I installed it on my old Acer one netbook and it worked perfectly, immediately. It's the XP replacement I needed. Recommended. I've tried it but it's too bloated and full of software that I don't really need and way to many panels and docks and in that Lubuntu is a more clean system. But LXLE has a future if they manage to release a "Lite" version. I'm running Lubuntu 13.10 in a Intel P4 (non-PAE) 3 Ghz with Nvidia Geforce 6200 and Lubuntu will install and run in a non-PAE processor as long as you choose the 32 bit flavor for the download. So please be so kind as to correct that statement, since it may drive away users that think they must have PAE processors to run Lubuntu. Actually your advice of using 12.04 instead is even worse since that version uses more resources than the current 13.10 as you can see for yourself in this review of a well respected blogger, that has a comparative chart on resource usage: http://mylinuxexplore.blogspot.pt/2013/10/lubuntu-1310-saucy-salamander-review.html This said thanks a lot for your review and I do agree with you that the normal desktop should be used in any netbook since I also use Lubuntu on my Acer Aspire One 260 (same specs as yours) and the normal desktop works really well. Best regards and thanks for keeping this blog. I love it. My original statement was based on information on the lubuntu.net website under system requirements. I have updated the review to include your comments and I have pointed out where I found my information. Anyone try 13.10 with a Cedar Trail video card? I am running 13.04 and it works very well but have not tried 13.10 yet. I've tried to like Lubuntu but it just doesn't cut it. 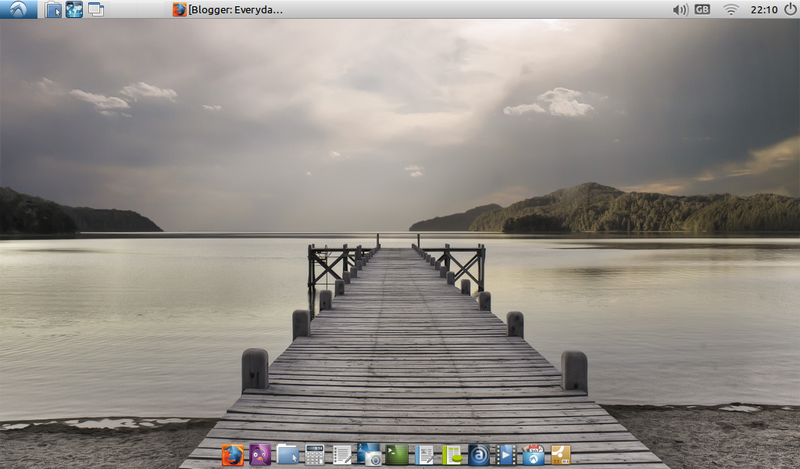 I have found that WattOS is where it is at if you want Ubuntu + LXDE. My best way to put it is WattOS is what Lubuntu should be. Don't get me wrong I believe Lubuntu has the potential to be be a great OS for older PCs, In fact I have one machine that is running Lubuntu 12.04. (will probably move to WattOS in the future). Lubuntu just needs a little more tweaking in order to meet my requirements. I'd also like to put out my big complaint with most light weight OSes. Why do the apps have to be lightweight too? I want a lightweight OS with full feature apps. I don't want abiword I want libreOffice, I want SMplayer not generic media player. Just make the OS lighter so It can handle these heavy apps better. I do agree with you regarding software choice. I am not a fan of Abiword and Gnumeric. Some of the lighter audio players are very good though. I'm not a big fan of Midori either which is a browser that some of the lighter distributions use. Why Lubuntu? On Oct.18 I have installed Ubuntu 13.10 on my Acer AOA-150 netbook (mfgd Aug.2009) without a hitch. I was genuinely surprised. It now dual boots with existing Windows XP SP3 in just 47 seconds. In next ten seconds it recognizes my wi-fi connection and is fully operational. 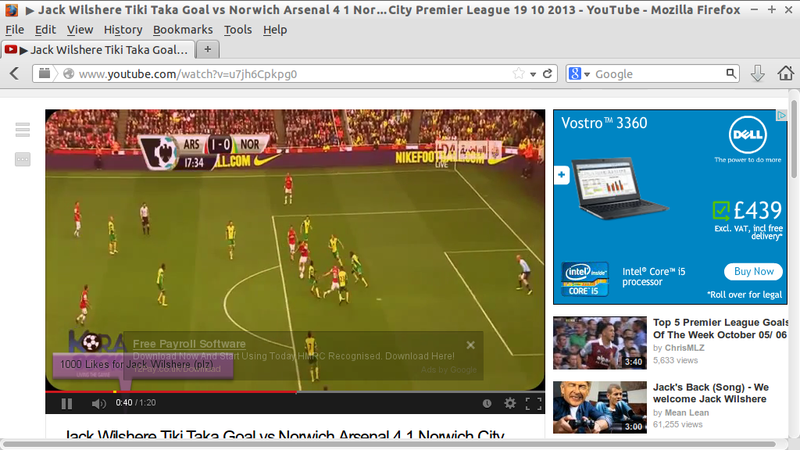 It runs smoothly, including picture viewing and Yutube (I installed restricted extras). Maybe Lubuntu would run a bit faster but I have no incentive to try. WinXP on the other hand is terribly slow and I use it rarely for some legacy software only. I have used Ubuntu on this netbook and it is ok except the graphics are a little bit dodgy. Ubuntu itself works ok other than that. I do like to use a lighter OS on a netbook though. I'm running an old Acer Netbook (1Gh Atom) with Lubuntu 12.04 on a 60Gb SSD. Fastest machine I own… The only problem was configuring it for its weird video mode. For me, Bodhi is the perfect netbook OS. Feather-lite, and E17 works magically well on small screens. Yes. I also tried it on both desktop and laptop machines. Brilliant distro indeed, however, one thing that has been disappointed me is wired connection. It showed connected but no internet access. I've got stuff with it in both machines although wireless has had no trouble. I suppose that it is a problem of the distro, not drivers only. I have an old Acer One Z3 with the same specs from 2008. It was discarded by someone because it fell victim to the Bios bug that these are prone to. It would not boot and the screen remained dark. This was solved by updating the Bios from the Acer website. I tried several Lubuntus and derivatives on it and finally settled on Peppermint 4 (based on Lubuntu 12.04) with some added applications to beef it up a bit. I love it for the speed with which it starts up and shuts down. It is a great little machine for carrying around and computing from WiFi hotspots. Everything just worked for me with PepperMint 4 and I see no reason to change. I tried Lubuntu 13.10 the other day on another machine, but saw no compelling reason to replace PepperMint on the Acer One. "Other problems I found were to do with the other desktop options including games and openbox. Neither would load beyond a blank screen with a mouse cursor." I don’t know about the "games" session, but a blank screen with a cursor is what openbox looks like. You have to right click to get the menu or use keyboard shortcuts. Openbox doesn’t necessarily have a panel or desktop icons displayed right out of the box… no pun intended. If your machine, lacks PAE, then use the Alternative Installer version (console installation rather than GUI). Lubuntu 13.10 is fine on netbooks, but because it's an STS version, it is rather bug-ridden. Apparently, 14.04 shall be LTS. LXLE 12.04.3 (strictly LTS) would be a better option, although at 1.3GiB, the ISO is a bit big, because it includes everything in the repository; well maybe not everything, but LibreOffice!!! Alternatively, use MadBox 12.04 (strictly LTS), and install what you want upon an excellent minimal LXDE/OpenBox base to build your own idea of perfection. 24 hours later: I do not recommend LXLE: post-installation update/upgrade has broken the packaging system: I suspect conflicting dependencies caused by having a multitude of conflicting sources/repositories/ppa's, including getdeb. Seriously, if you can deal with the inevitable bugs that will appear in any STS version, Lubuntu 13.10 is fine, there's plenty of support, and there's 14.04 to look forward to, which AFAIK is fully supported by Ubuntu. Running Lubuntu 13.10. Sound these would not work until I installed Pulseaudio. Wouldn't run man strftime until I installed manpages-posix & manpages-posix-dev. I also have Xubuntu 13.04 it does not have these issues. I'm using a Acer Aspire 5560 with dual core amd processor with 4 gb and 500 gb hd. I strongly recommend Mozillux. It is based on 12.04 LTS (then updated) and runs amazingly fast on netbooks or even on old computers. The ISO is large to download because it is full of software (java, flash, multimedia all works fine) and some people may even found it "bloated" but it is very efficient and the selection of software is really excellent. It can compare to Knoppix for exeprimented users because you have options to run Mozillux from a live usb with persistence if you wish ! For anyone else just proceed as usual live dvd, live usb, or full install which is best in my opinion (for exemple if you have a SDHC 32Go just make a full install on a ext4 partition, no swap) and you will get better results than persistence on live usb. I use lubuntu a lot and even test the new version but you still have apt-get and synaptic to download and install packages and can still work. And yes the lubuntu openbox seisson doesn't have a panel start by defualt. You know you get a menu by clicking on the desktop in openbox. I have installed Lubuntu on a system which seriously struggled with XP @ 500mb ram, but coped very well with vs. 13.10. I upgraded it to 1gb, but didnt notice much difference. It isn't really going to cope well with serious video work, but for basic browsing, and using cloud apps (I have used the MS Office ones a bit) it is really good. Peppermint 4 is based on Lubuntu 13.04 and is pretty good too, but maybe a bit "graphic design over substance", although I liked the inclusion of the Ice app.. Lubuntu is pretty boring. Worth going for Lubuntu or Peppermint to be able to easily install peerguardian if torrents are your thing. I've been using Lubuntu/Windows dual boot on practically all my laptops since 11.04 – with excellent results. With 2-4 GB RAM, Lubuntu SCREAMS – it's up and running before you know it. I started out with putting Lubuntu on its own SD cards, but it ultimately ended up on the HD in its own partition. It's just SO MUCH faster that way. If you have < 1 GB RAM to work with, I'd go with one of the Puppies. 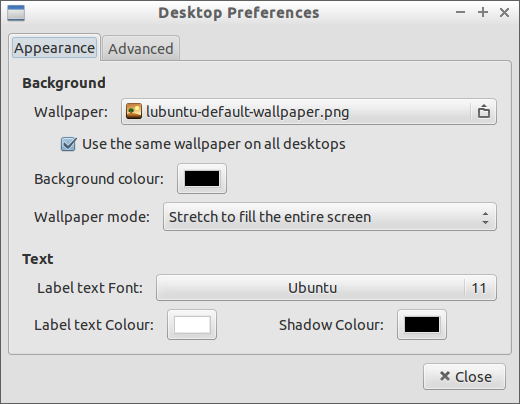 Like yourself, I prefer LXDE, but LXPup gives you an option to choose Mate, LXDE, XFCE or KDE. I'm trying LXPup 13.11 right now, which seems to be more Slackware-based. I'll probably end up using one of the older Lubuntu 12.04-based versions, as that's what I'm used to. It DOES seem that something's up with 13.10 that generates bug-reportable crashes. Sadly, I recently read that unless someone else takes over its continued development, the future of Lubuntu after 14.04 is uncertain. I suspect that may be some of the reasoning behind 14.04 becoming Lubuntu's first LTS release. I've recently installed Lubuntu on an old Toshiba L10 laptop with celeron processor and 512MB RAM. There were some initial setup issues with wifi and video drivers but now they're sorted it runs like a dream. I was going to upgrade the laptop to 1GB, but I'm not sure I'll bother now unless it starts throwing up performance issues with greater use. "It DOES seem that something's up with 13.10 that generates bug-reportable crashes. Sadly, I recently read that unless someone else takes over its continued development, the future of Lubuntu after 14.04 is uncertain. I suspect that may be some of the reasoning behind 14.04 becoming Lubuntu's first LTS release." That's not good news since I'm in the midst of downloading 13.10 since MS are withdrawing support for XP soon…! I am nervous, when you have a question and look on the forum some of the solutions make me absolutely crosseyed. There are so many new terms and concepts- an idiots guide would be good for someone like me. I'm a student and live off grid a lot and bought a EEEPC 1000HA for $150 at cash converters and have had a nice retro time with XP for the past six months, and love the 5 hr battery. I only need to do simple things, XP is patchy, sometimes good sometimes slow. I'm no tech head. I appreciate that there are other OS (or is it distros) but it would be great if the info was a little simpler. In the interests of protecting the environment software like this will prevent old computers ending up in land fill for ever and ever! ^ Just keep using XP. As long as you're safe and check some of the articles for recommendations on keeping XP going, you'll be fine. Start with getting a decent software firewall (I use Zone Alarm) to go along with your router firewall. If you can afford it, get a good paid AV solution. Norton's AntiVirus or Internet Security are nice and lean. Certainly while you can, do one last fresh install of xp and get it fully updated/patched. Set up a limited user account for day to day use, only log in to admin account for installing programs or maintenance. Use modern browser like chrome or firefox instead of IE. Just put lubuntu on my daughter's Lenovo to replace the XP and keep it secure. Went on smoothly and seems to run very well. Just a note to those less experienced at such installs (like me), I found the wifi not working as it required a third party driver. I went in settings and "additional drivers" and the system was aware of the issue and offered to use the third party driver. After accepting this it appears to save the choice but nothing actually happened (as in this case I needed to plug in a network cable to allow the driver to be downloaded and installed). Thought I would mention as there is no message saying "need to connect to internet" etc it just reverts to device not working. Thanks for the comment. I will be reviewing Lubuntu 14.04 in the next couple of weeks. I will let you know if I have similar issues. I'm running Lubuntu on a 13 year old desktop with 128MB of RAM and it runs better and faster than XP ever did. As long as you disable Flash, it's really quite snappy as a web browser, and of course I can do things like edit word and spreadsheet documents fine.